The C H I L L features contemporary edgeless styling that can only be achieved by building with thoughtfully sourced, high-grade aluminum alloy. 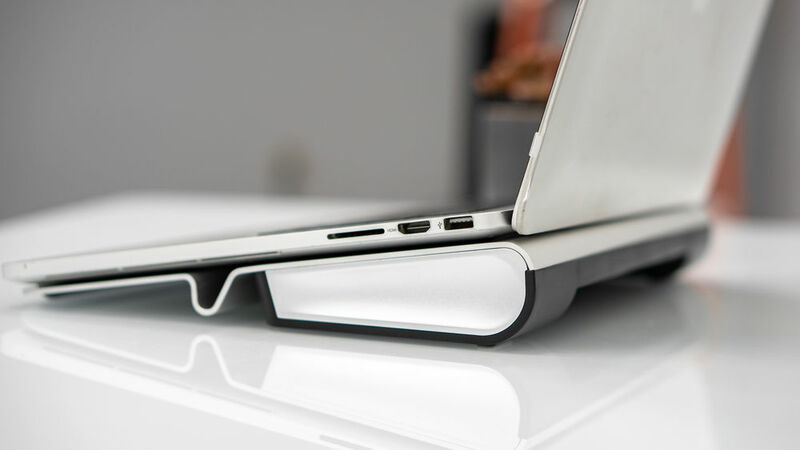 Smooth silicone padding accents the stand's corners and longways, holding complimenting the stand's attractive space matte-grey finish. Slip-free silicone matting holds your laptop in place as two ultra-quiet cooling fans blow fresh, cold air to the underside of the laptop; while at the same time exhausting hot air away from it. This helps keep your device cool and reduce CPU throttling. 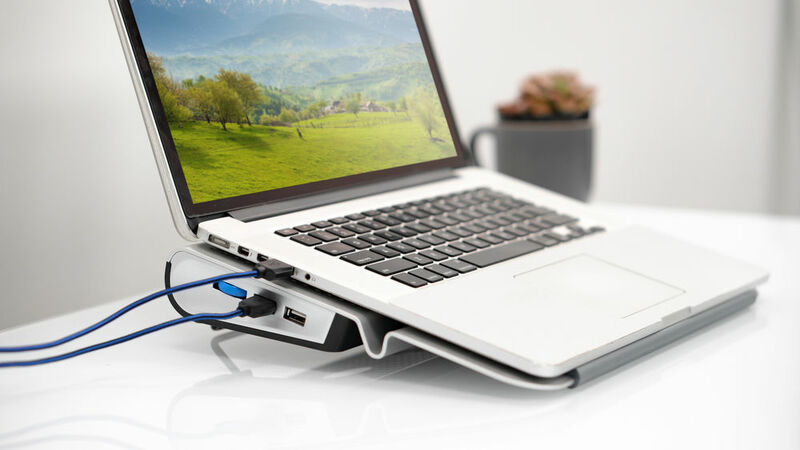 The XRGO CHILL is an elegant solution to keeping your laptop cool and performing at its best. The angled, elevated design features cable management, a convenient side jog wheel control for fan speed and illumination, two USB charging ports, and an extendable back bracket for up-and-down viewing angle adjustment.